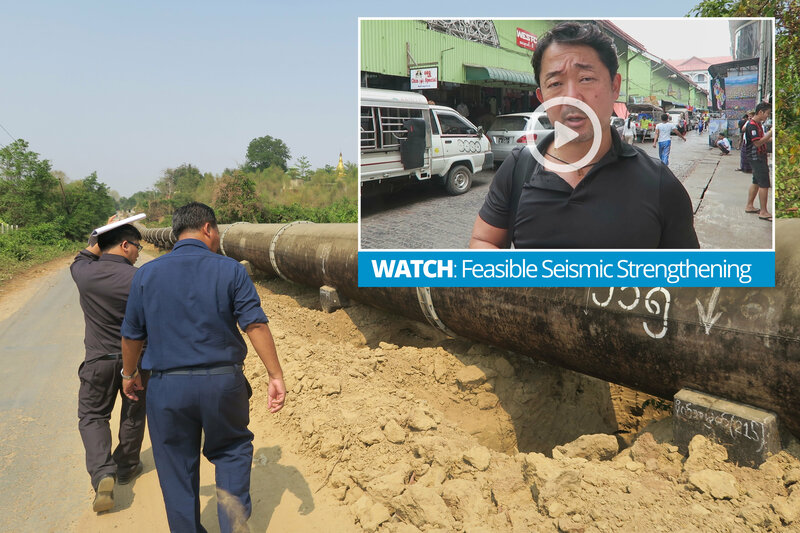 Yangon, Myanmar – We are driving up to a destroyed water pipeline on a bumpy, 200-year-old, British-made highway. I am in the middle of the Myanmar jungle. It is about 40°C (104°F) and dusty and hot. It is still the dry season here. 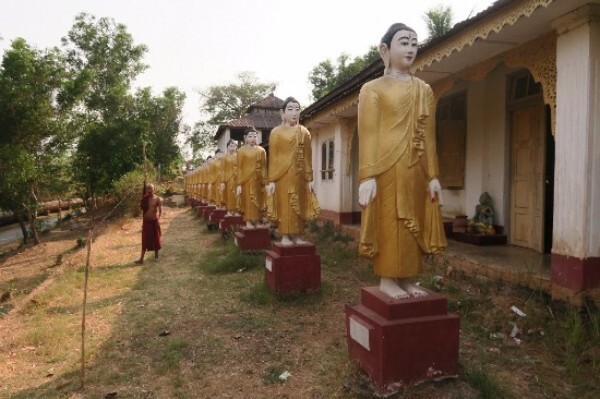 Both sides of the highway have low-lying bushes, palm trees and occasional villages with a golden pagoda. People are friendly with quick smiles. Our team part of a government mission to investigate an earthquake-damaged water supply chain. A municipal engineer informed us that the above-ground water pipeline is about 50 km long (31 miles) and that 400 of the supports have been damaged. We bump through four hours each way on a dusty country road highway. Yesterday was different. We made a final presentation in the Shangri-La Hotel to the government officials to close a $120 million loan. Part of the funds will be used to seismically upgrade 12 key structures in Yangon. In an air-conditioned conference room, we talked about the seismic damage and fatality risk of 12 key structures and the cost benefit based on lives saved. From years of doing this, our capacity in the probabilistic risk-identification field has become bar none. We can quantify the seismic risk so finance people and the public can understand how to deal with it and why it’s so important. Our little van has finally arrived at the Gyobyu Reservoir. It is located in the Taikkyi area, where a M-5.8 earthquake hit on March 13, 2017. 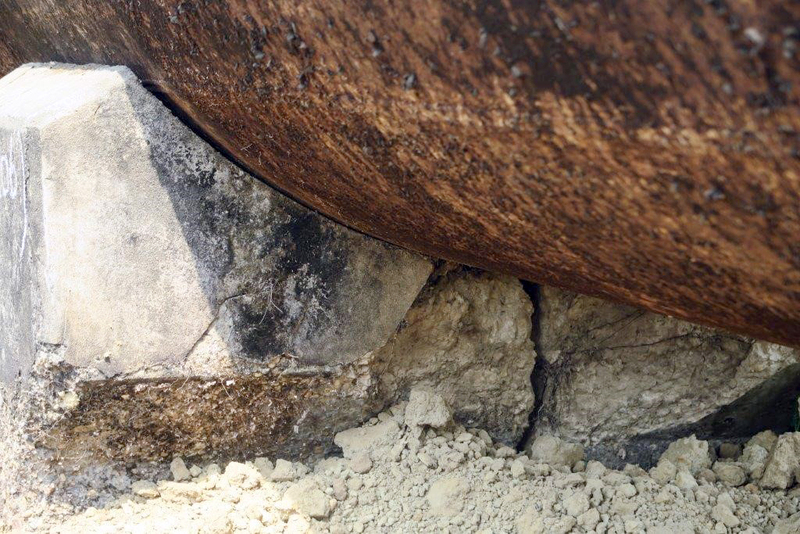 A 56-inch-diameter iron pipe was laid over half eroded concrete supports spaced 25 feet apart. Each pipe is also about 25 feet connected with a coupler. A municipal engineer shows me some cracked supports. He says there are 479 supports that are damaged or about 5 percent of all supports. This reservoir pipeline is critical. 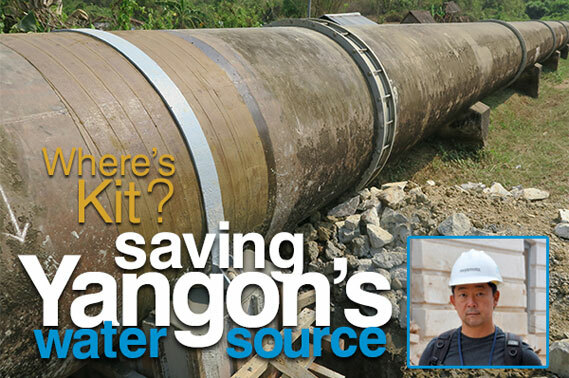 It is the only source of water to Yangon’s city center. Local workers are already replacing the damaged supports when we arrive. Together, we sketch up replacement details. We figure that they can replace all of the supports at a cost of $8 million. That sounds like a lot, but it isn’t when you think about it. Just $8 million to reduce the very significant earthquake risk to the entire drinking water supply of Myanmar. I promise the municipal engineer I will bring this up to the government. A typical day out on a mission – nothing adventurous. Just a working day, sharing the knowledge we’ve gained. I know that this day in the little van for eight hours on a dusty, bumpy road may make all the difference to the people in Myanmar someday when an even larger earthquake hits and they still have water.